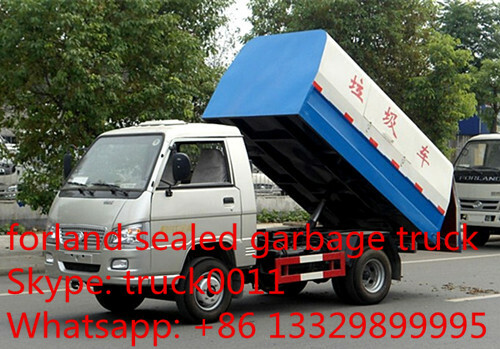 Close type garbage dump trucks are also called sealed garbage dump truck. 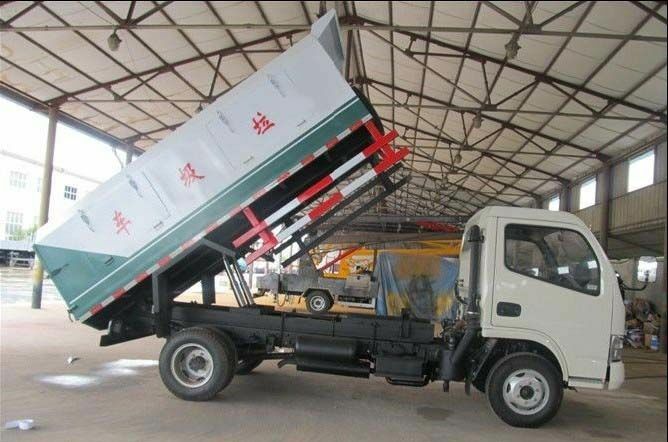 It is usually made up of truck chassis, trash box, side doors, guardrail, mudguard, tipping cylinders, etc. 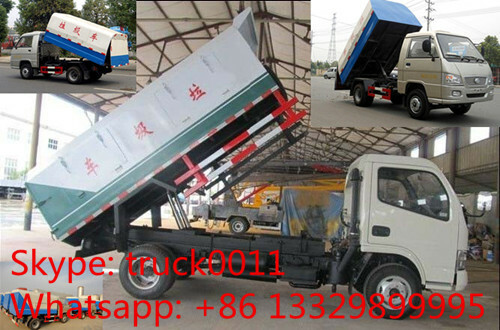 The close type garbage dump trucks manufactured by Chengli Special Automobile Co., Ltd. adopt two lifting cylinders to unloading, etc. Look at the pictures as below. The hot sales garbge dump trucks are the 4 wheels Forland 1.5ton sealed garbage dump truck, 4 wheels Chang’an 2ton close type garbage dump trucks, dongfeng 4 wheels small garbage dump trucks and also dongfeng 6 wheels garbage dump trucks. Actually, the small models of close type garbage dump trucks are the best sellers among the garbage trucks. 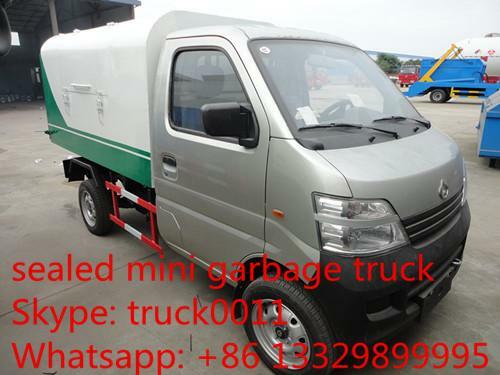 And more and more customers at home and overseas like this small flexible garbage collecting vehicles. Small garbage dump trucks are mainly used for collecting and transporting household wastes for living quarters, suburbs, town, village where with narrow walkway. If you're interested in our truck, please feel free to send email to truck0011@163.com or talk to Anita directly by Whatsapp/Wechat/Mob. : +86 13329899995. Besides the above close type garbage dump truck, Chengli Special Automobile Co., Ltd. can also manufacture and supply open type garbage dump truck, compaction type garbage dump truck, garbage compactor truck, swing arm garbage truck, kitchen wastes garbage collecting vehicle, etc. More information of the garbage trucks, please feel free to contact with us.